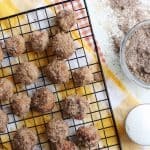 Wondering how to make donut holes? 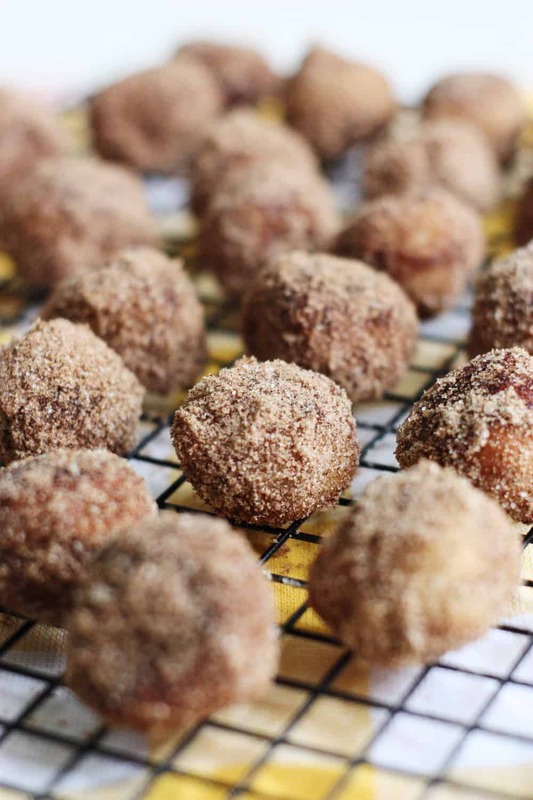 These baked pumpkin spice munchkins are so delicious! 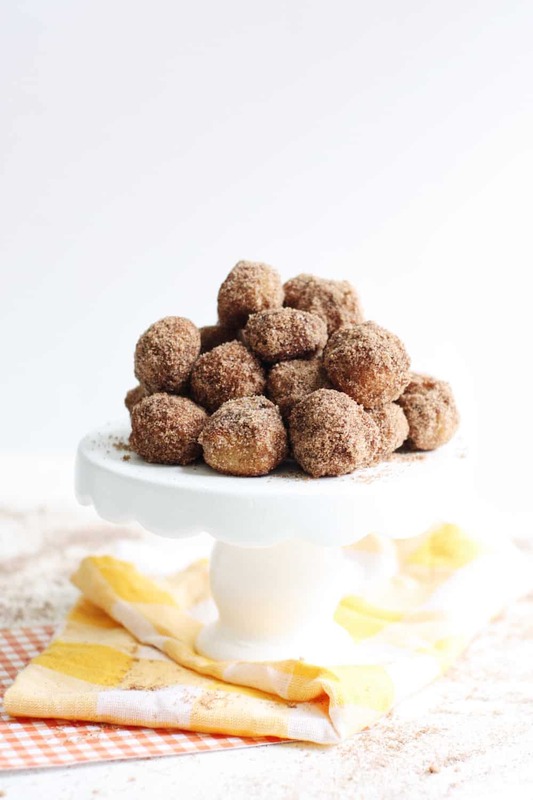 This donut hole recipe is really easy to make, too. My plane touched down in Utah this week for my brother’s wedding and right away the temperatures plummeted and it poured rain for days. Although this dreary weather was not optimal for my poor brother and his new bride’s nuptials, it gave me so many fall feelings I couldn’t help but be happy about it. We layered up, got cozy, and I decided it was time to get to the kitchen for some baking and get some pumpkin spice in my life. 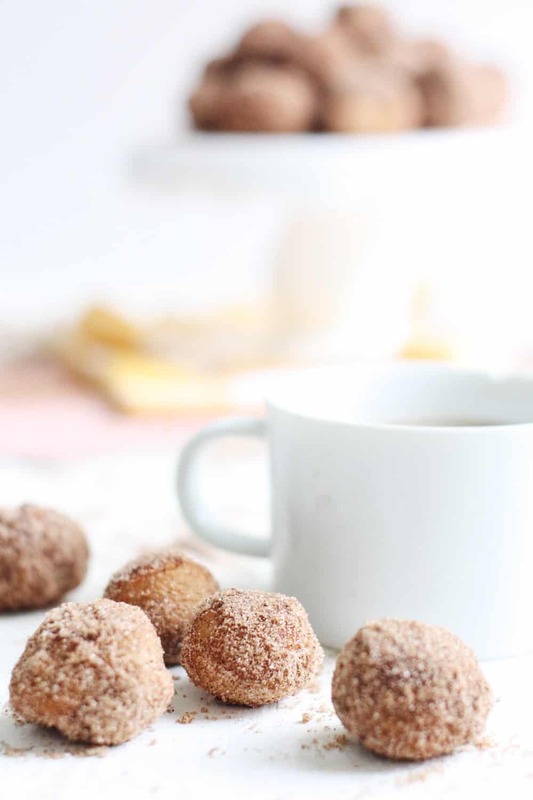 If you’re wondering how to make donut holes, I’m so ready to teach you! 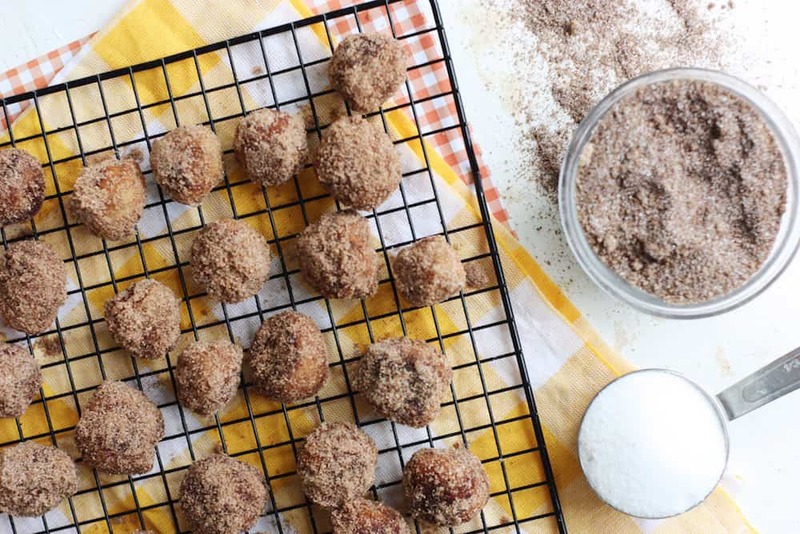 This pumpkin spice donut hole recipe was so perfect for kicking off the fall baking season. 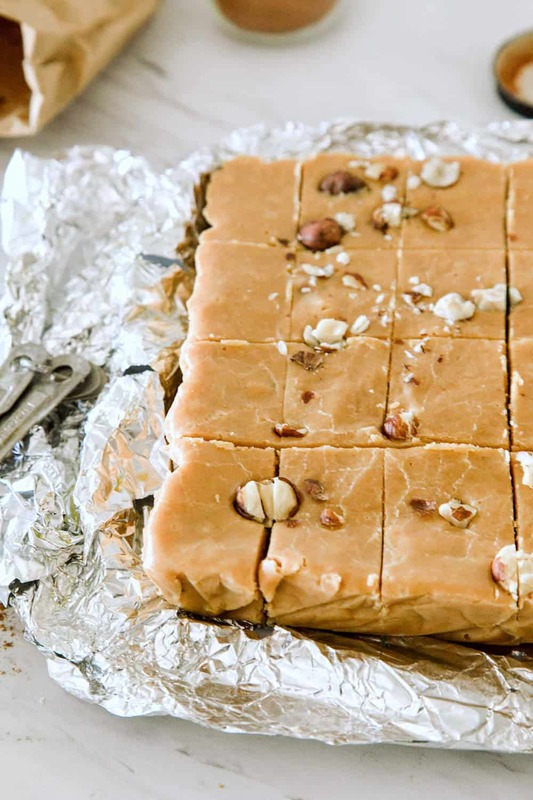 They are so simple to make, the flavors are amazing, and they are so warm and delicious when they come out of the oven you will be overwhelmed by the goodness. 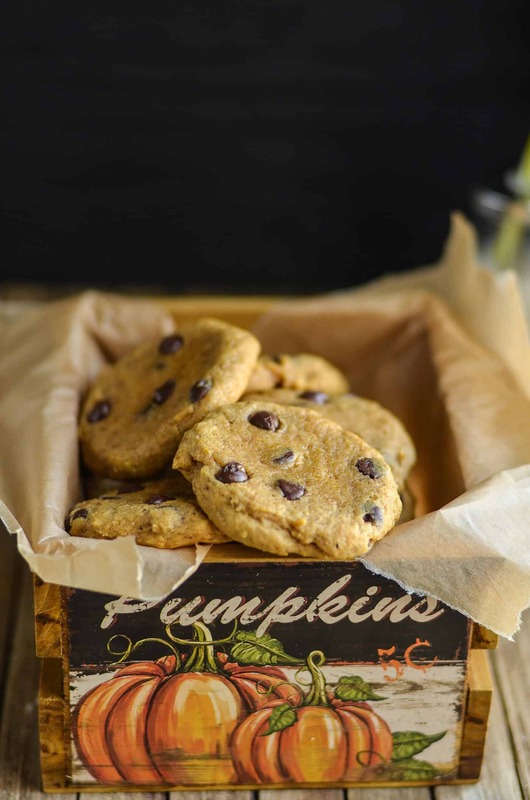 These delicious little cuties are definitely a new staple for autumn in our house and I know you’ll love them too. I only learned how to make donut holes just recently. My hesitation was always the fried part. I’m not a big enough fan of fried foods to waste the trans fats, personally. I’m just one of those people that likes baked better, and when I realized a donut hole could be baked instead of thrown in an oil bin, I was excited. 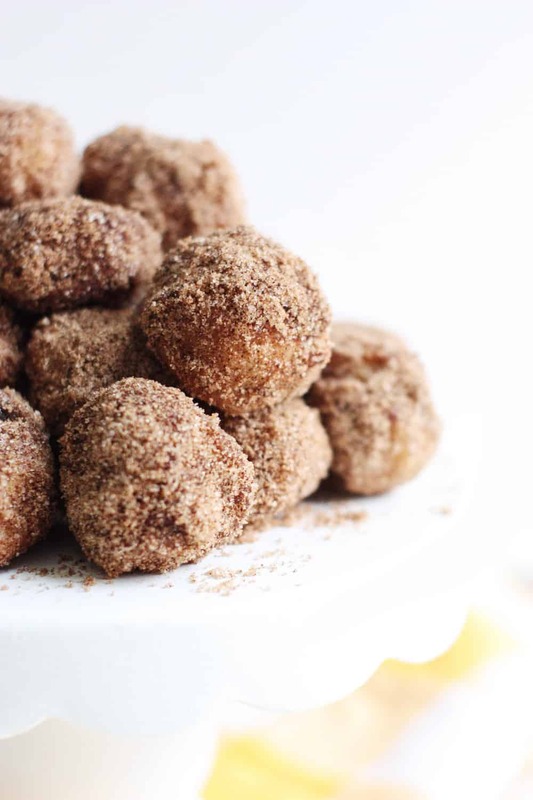 Baking these is pretty straightforward – this donut hole recipe is basically just like baking muffins. Small muffins. The only tip I really have is if you’re going to make donut holes a lot, I’d go with a donut hole pan. You’ll also want this pan if you want them perfectly round (I know I have some Type A folks out there!). Otherwise, you’ll go several rounds with a regular muffin pan and you’ll get some misshapen holes (which who cares as long as they are delicious, right?). Preheat the oven to 350°. Prepare a mini muffin tin by spraying with cooking spray. 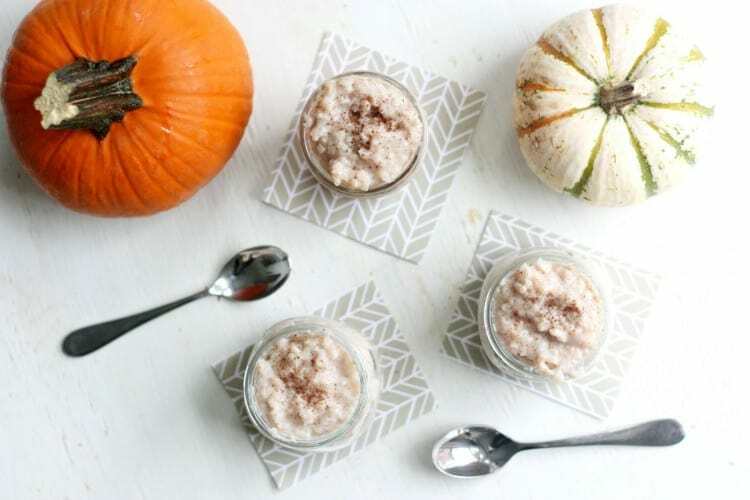 In a large bowl, whisk together the flour, baking powder, salt, cinnamon, nutmeg, and pumpkin pie spice. In a medium bowl or large measuring cup, whisk together the oil, brown sugar, egg, vanilla, pumpkin puree, and milk. Pour the wet ingredients into the dry ingredients and mix until just combined. Meanwhile, melt the butter in a microwave safe bowl. Add the sugar and cinnamon to a large Ziploc bag. Dip the donuts into the melted butter, then toss with the sugar in the Ziploc bag, one dozen at a time. Cool completely on a wire rack. These babies are so dangerously delicious it becomes all too easy to lose track of how many you have popped into you mouth! So yummy. So glad to have you back, pumpkin spice. You were missed! Dip the donut holes into the melted butter, then toss with the sugar in the Ziploc bag, one dozen at a time. Cool completely on a wire rack. 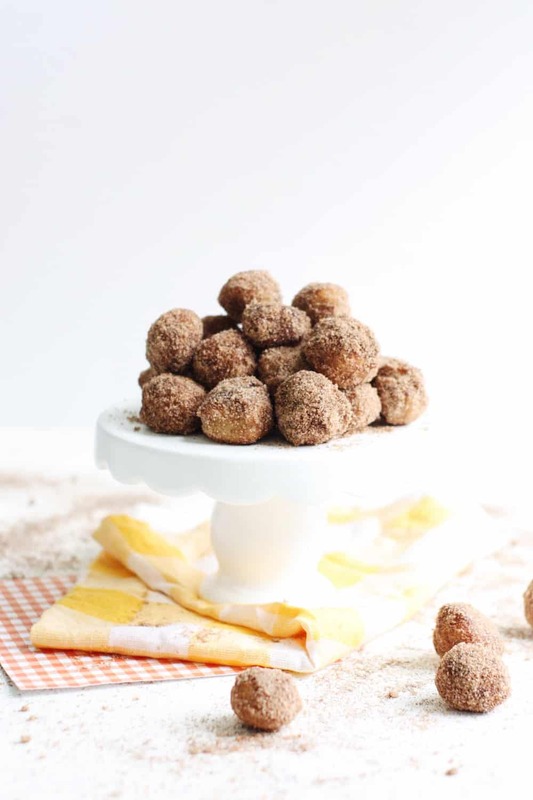 Pair this donut hole recipe with a cup of something chocolatey and warm and you will have reached fall baking nirvana! 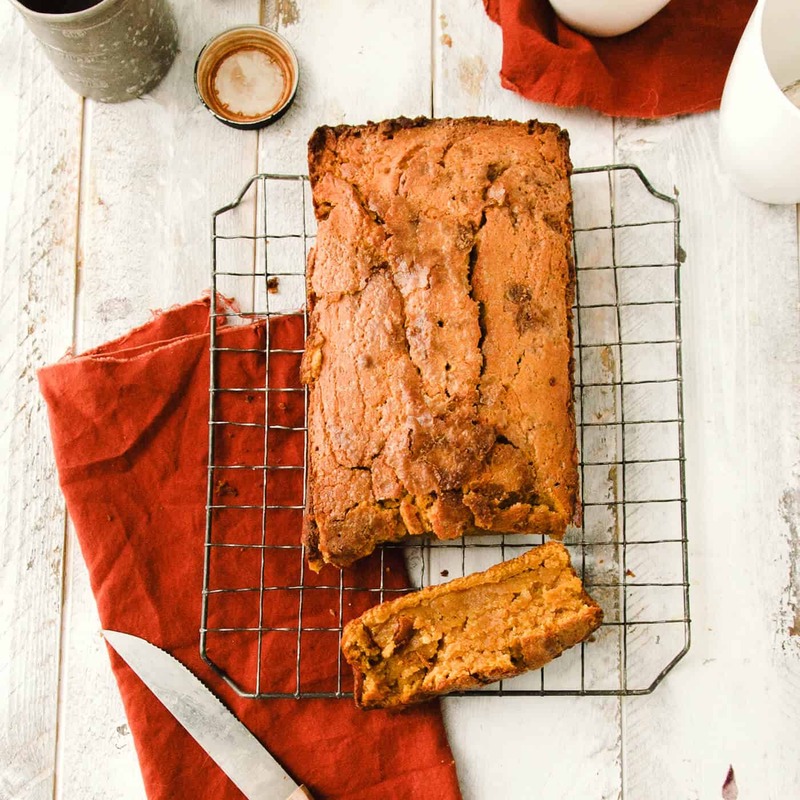 What pumpkin spice recipes are you getting excited to get in the kitchen and get baking? Fill me in. And be sure to visit us as we blog about style, food, and the things we love over at the Pretty Life Girls!